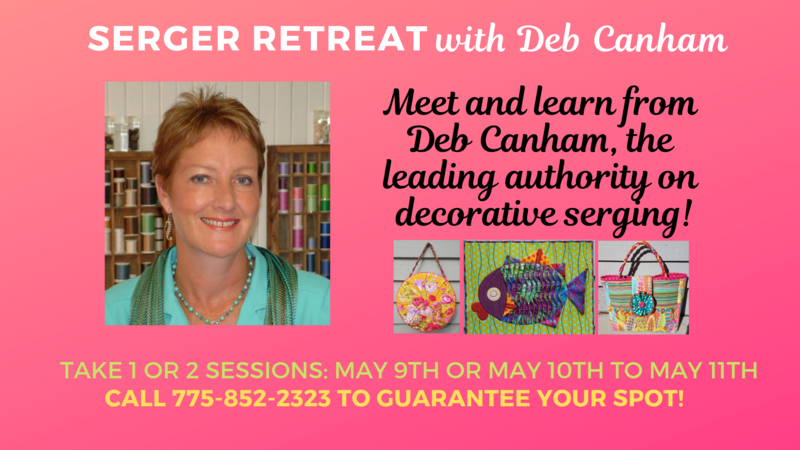 Join us for a serger retreat - a two day hands-on workshop, led by award winning textile artist Deb Canham. What to Expect: Make Two Stunning projects at this hands-on, two day serger event! 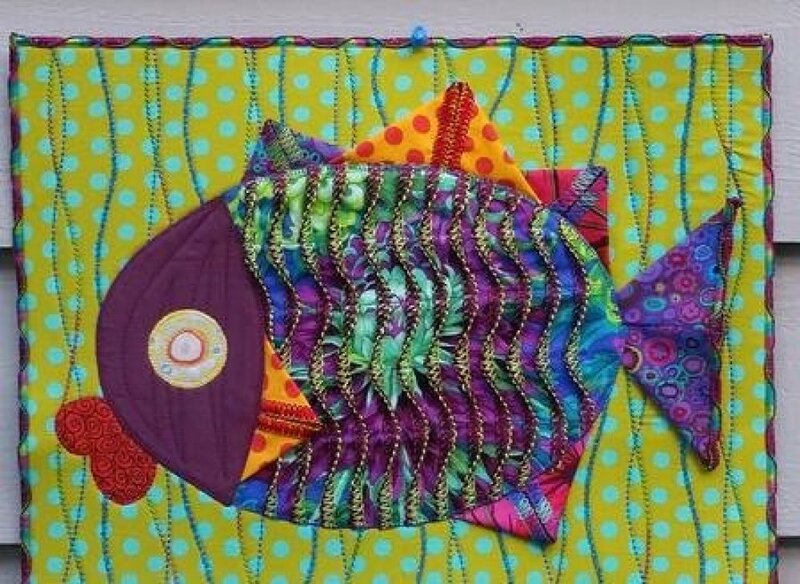 Learn new techniques and go home with a finished tote bag and Fish Wall Hanging. All Skill Levels Welcome: No prior serger experience is needed- there will be lots of support to help you complete your projects and even the serger gurus out there are sure to learn about new techniques and tools! Registration Fee also includes project kits and lunch for both days! Cancellation Policy: Class fees are required at the time of registration to hold your place. As this is a catered off-site event, there are no refunds unless you cancel within 72 hours of the scheduled class , and we are able to fill your place from the waiting list. There are absolutely no refunds or compensation for no-shows. Deb has spent the last 20 years designing and working with her own factory in China and working as a Consultant to garment factories improving their quality control through education and developing simple methodical systems . She retired from travelling to China 3 years ago and since then has focused on the Serger for home use designing projects, patterns, courses and videos to encourage serger owners to `play` and develop confidence with these machines. Her aim is also to provide Serger Teachers with some fun technique based projects. The serger has the ability to use much heavier weight decorative threads, than the sewing machine, which opens up a whole new world of fun embellishments and finishes which are the `backbone` of Deb`s designs. 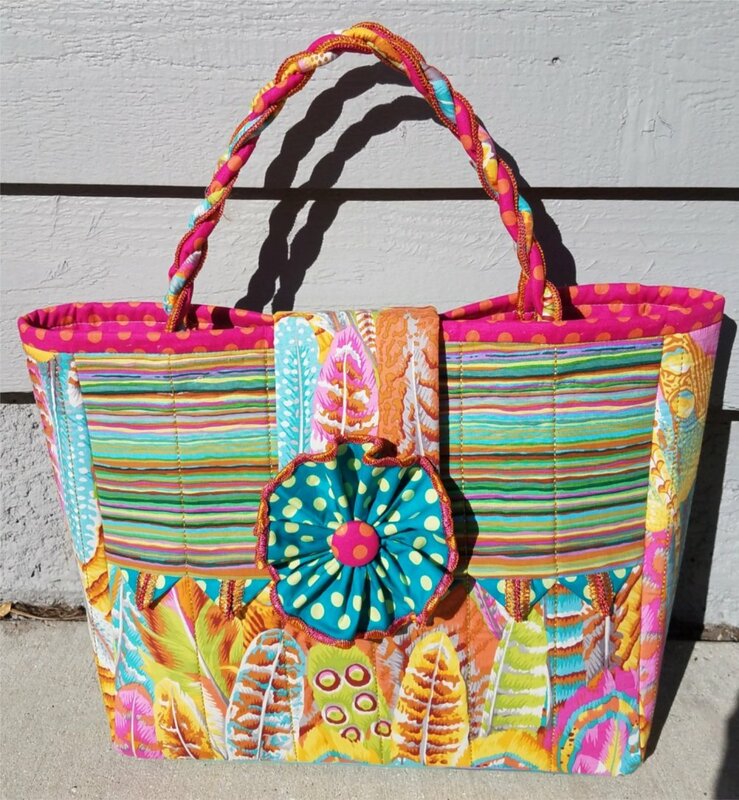 Deb`s `Creative Tote` pattern was selected as a Challenge Project for the Yahoo Baby Lock Serger Group and over 240 Tutorials were sold in 2 weeks. People want to be more creative with their sergers. Her `Working with Knits On Any Serger` is available as a downloadable course, with a workbook and 24 videos. This has been a huge seller with all the beginner sewers who are discovering sewing as a result of the very active social network groups promoting wearable knits. Deb has been working on some new programs combining the EQ Designer on the Destiny with the serger. These will be releasing 2019.